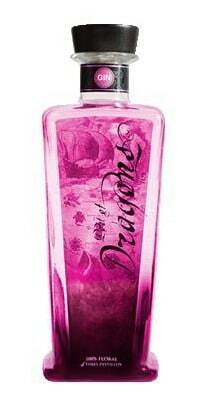 Port of Dragons 100% Floral is one of two products under the Port of Dragons Name. The other, Port of Dragons Pure has also been reviewed on this site. Port of Dragons 100% Floral smells a bit more vegetal than floral. Hints of cucumber, and even shrubs. An ambiguous “greenery” smell. Hints of rose emerge from the mix give it a slight “summery” character. I’m picking up a bit of juniper around the edges, but overall it has a contemporary character. But like the Pure, the nose isn’t quite doing it for me. I could readily suggest a closer look at the Aviation, or other drinks with Creme de Violette. Those might really highlight the floral notes at work here and somewhat hide the more discordant notes. I found it went well with lemon juice making an apt, if not outstanding ingredient in citrus oriented cocktails. It smoothness serves it well as Port of Dragons 100% Floral does its best to be inoffensive enough to everyone, but it never quite takes a bold stance either way. Odd as given the name you might expect there to be something boldly decisive about this drink’s direction. Sadly, its just average overall. Thanks to David over at Summer Fruit Cup for helping make this tasting possible. Because the bottles are small sample bottles, this review is not as thorough as my normal gin reviews. There’s only enough for some tasting neat and no more than one normal-sized cocktail. Although I do my best to give as full of a review as possible, complete with ratings, the tasting is not as complete as I would normally want to do. If a bottle enters into my possession, I will update this review with more tasting notes, and I reserve the right to update my rating accordingly.